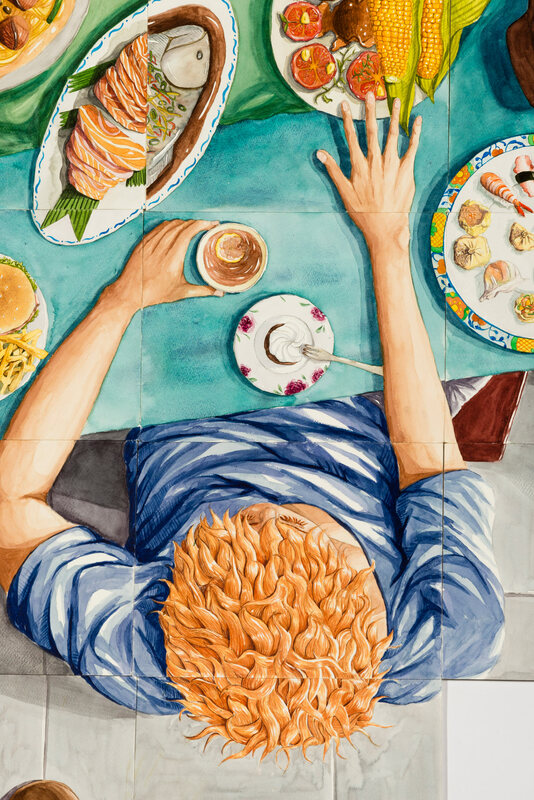 My multiple watercolour panels are a reflection of my love of food and home. 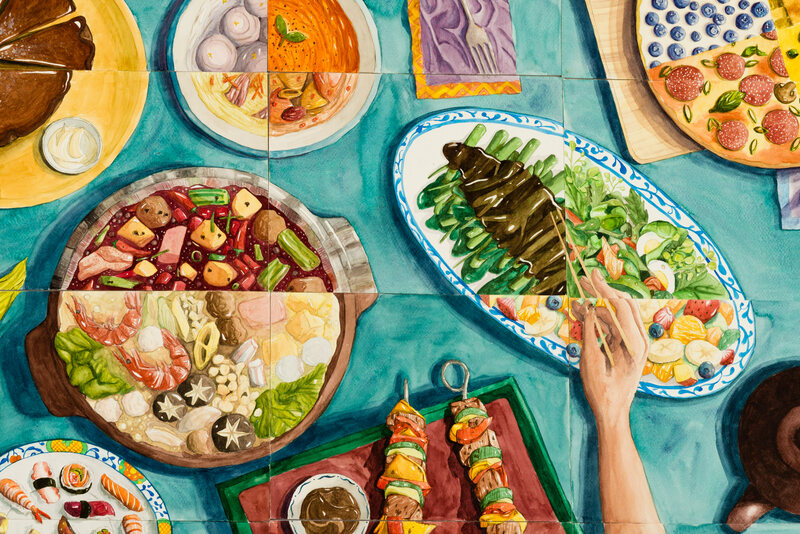 The shared family meal helps to wash away and forget the busy day – a chance to enjoy. 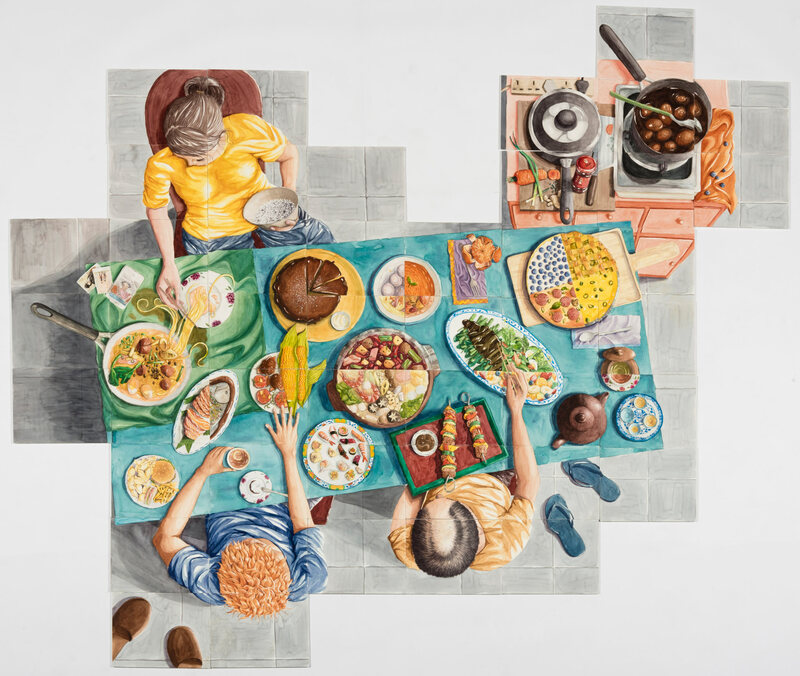 These paintings, a reflection of contemporary Chinese society (family structure, a crowded space, globalisation) also highlight a shared human journey. I practised figure drawing and took photos of Chinese people at meal times. 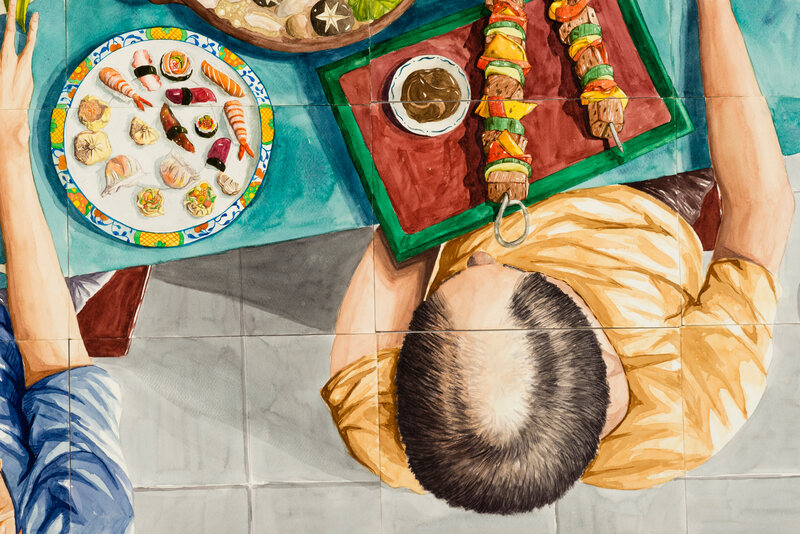 My long-standing love of the watercolour medium pays homage to the Chinese artists whose delicate washes built a beautiful ‘visual’ for the nation. The shared family meal is universal – a symbol of a caring future.